Widely regarded as the first proper heavy metal album, the third track on Black Sabbath’s self-titled debut bears the title “Behind The Wall Of Sleep”. 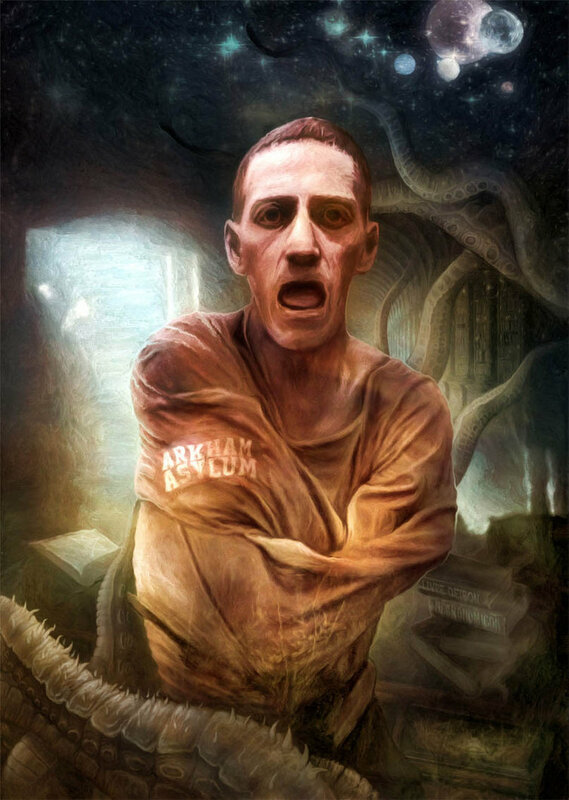 This song’s lyrical inspiration comes from the 1919 Lovecraft short story Beyond The Wall Of Sleep, which tells of a “degenerate” vagabond who is committed to a mental hospital. Told from the perspective of a hospital intern, we are witness to the drifter’s nightly violent seizures, as he blabbers about hallucinations of wondrous places, of which he can remember nothing when he awakens. The narrator uses a telepathic device to communicate with the dreamer, who turns out to serve as a medium for a higher being made out of pure light. The possessing spirit reveals that beyond the shackles of the body, humans are all beings of light, and that this higher plane of reality can be accessed in dreams that are inaccessible to the waking mind.2 Or, as Black Sabbath put it, “Now from darkness, there springs light / Wall of Sleep is cold and bright / Wall of Sleep is lying broken / Sun shines in, you are awoken”. One can easily find a strain of hippie-enlightenment running through the dreamscapes and light-beings in Beyond The Wall Of Sleep, and the rather blunt connection to hallucinogenic experiences might explain why Black Sabbath connected to the story. Other bands making direct reference to the story includes Finland’s Sentenced and German heavy metallers Rage, who have both put significantly more aggressive spins on their songs, both titled “Beyond The Wall Of Sleep”. The concept of another reality that is only accessible through dreams became one of Lovecraft’s main literary themes. In a loosely connected series of stories known as the “Dream cycle”, tales are told of a fantasy-like world that the narrator travels through while he is asleep. The most comprehensive of these stories is The Dream-Quest Of Unknown Kadath, a novella written in 1927 but only published posthumously in 1943. One of Lovecraft’s lengthiest stories, Kadath tells about the protagonist Randolph Carter’s journeys towards the mysterious titular city of Kadath. During his dreamtime travels, he sees a variety of fantastical landscapes and encounters numerous gruesome creatures, and each time he is ripped from the dreamlands by a sudden awakening, until he is face to face with the terrible god-being Nyarlathothep. As a side-note, the character of Carter is usually accepted as a stand-in or alter ego of Lovecraft himself, giving the tale a personal edge that would sometimes be lacking from his stories. The stories chronicling the wondrous dreamlands seem to have captured the attention of several doom metal bands. Most blatantly, perhaps, Finnish funeral doom godfathers Thergothon wrote a song called “The Unknown Kadath In The Cold Waste”, featured on their 1994 first and only album Stream From The Heavens, which was, fittingly enough, also released posthumously (the band having broken up the year before). On the more epic side of the doom spectrum, the Texans in Solitude Aeturnus featured the track “White Ship” on their 1991 debut Into The Depths Of Sorrow, the song being a direct reference to Lovecraft’s dreamlands-story by the same name. Along the same path, Candlemass’ self-titled 2005 album contains “Seven Silver Keys”, which is about the stories The Silver Key and Through The Gates Of The Silver Key. These stories, written in 1926 and 1932 respectively, also center on the character Randolph Carter, and his dealings beyond the wall of sleep. 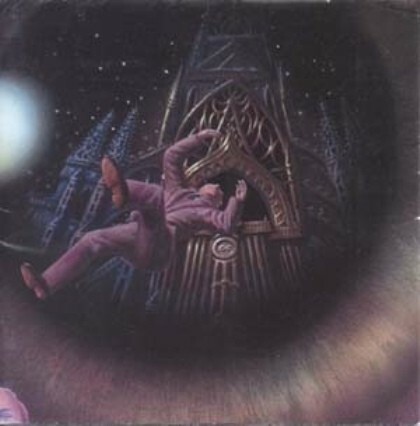 Finally, taking on the dream-cycle as a thematic arc, the somewhat obscure German prog metal band Payne’s Gray released their only album, Kadath Decoded, in 1995. A concept album, the record tells the story of Carter’s ventures, from his first dream, culminating in his mind-shattering meeting with the god of a thousand masks, Nyarlathotep. 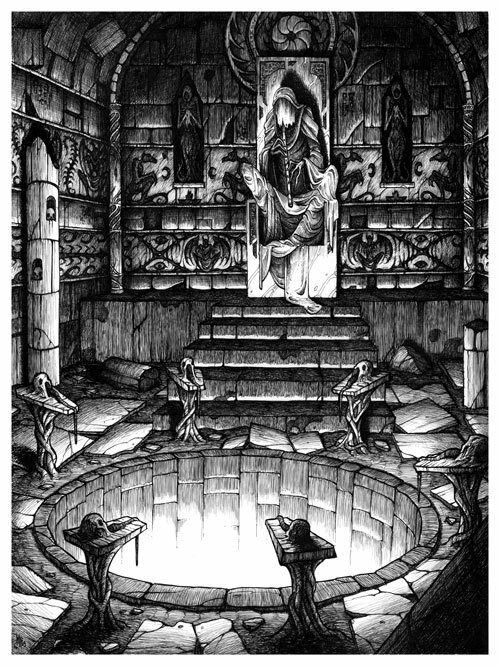 The cover art of Payne’s Gray – Kadath Decoded, featuring Randolph Carter as he is flung awake from his dreams. Continue on to read about The Cthulhu Mythos.